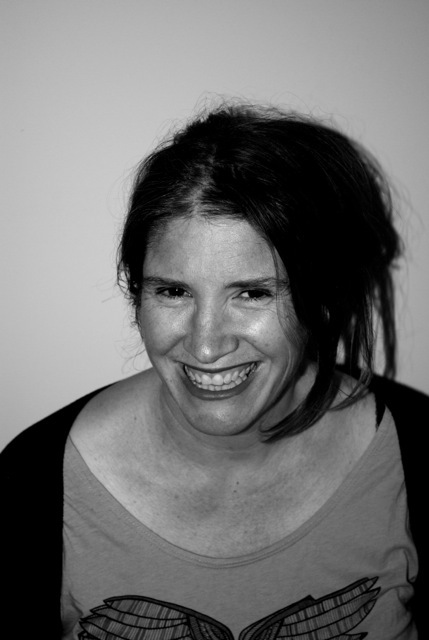 Nova Weetman wrote short fiction and children’s television before publishing her first YA novel, The Haunting of Lily Frost, in 2014. She’s since published another YA novel, Frankie and Joely, and two middle-grade books in the Choose Your Own Ever After series. She’s the writer of the short films Ripples and Mr Wasinski’s Song (AWGIE nomination and winner Best Australian Short at MIFF). Her short fiction is published in Overland, Mslexia, Kill Your Darlings, Wet Ink and Island. Nova won the HarperCollins Manuscript Award and the FAW Award for Best Unpublished Manuscript. 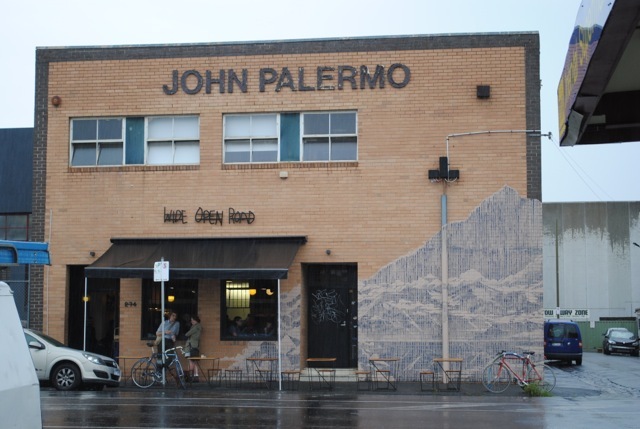 She lives with her partner and their two children in Brunswick, Australia. Supportive parents who let me dream and encouraging teachers who made writing accessible. My high school English teacher helped me publish an article I’d written in The Age when I was 16, and I was hooked. Unfortunately, I wasn’t ready to be a lonely prose writer, so I went seeking collaboration and disappeared down the wormhole of television. Then after I had kids I was desperate to spend time alone writing, and wrote lots of short stories before publishing my first YA novel last year. 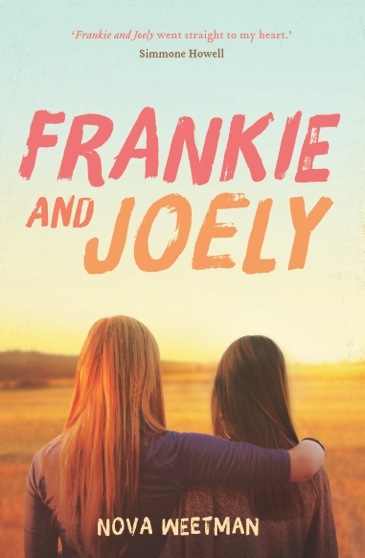 My latest YA novel is Frankie and Joely, a story about two teenage girls whose friendship comes under fire when they go on a summer holiday together and fall for the same boy. And I have a new middle grade book out next year that’s about family dynamics and secrets, so I’m currently editing that. For years I tried to write at home, very unsuccessfully. Who knew putting the washing out could be such an appealing avoidance strategy? Now I have a desk space in a large shared studio above a cafe in Brunswick, although it sounds more exotic than it is. My desk faces a very dull white wall, so I have nothing to do except write. (And occasionally reward myself by ducking downstairs for a coffee.) But I think having a studio has legitimized the way I think and feel about myself as a writer, and it’s also made me considerably more productive. Having spent years raising kids and not ever having a full day to write, I now have a pretty good balance. I walk the kids to school, and walk back to my studio and write until school pick-up and then do it all again the next day. If I’m writing a new book, then I just slog it out until it’s finished. If I’m editing my day might be broken up a bit more because I find I need to walk around and think about what the problem is before I can fix it. I’m not a planner. Sadly, I’m a “bang the first draft out super fast and then edit” kind of writer. Even when I’m writing television scripts, I write the first draft very quickly, and then slowly repair all the damage. Often I’ll have to draft a book five or six times before I’m happy with it, but I find if I don’t have something complete to work from very quickly then I get bored. It’s not ideal writing like this. But I’m too old to change my ways. This sounds so corny, but I love writing books. Mostly I find new ideas when I have the rare opportunity to be completely alone. When I can watch or listen to people. I’m also inspired by many of the writers I know. I find it very motivating to read a book that I wish I’d written. To read something that is so good it takes your breath away. Sitting down for hours on end is pretty tough on your body. Financially it’s not much fun either. My partner’s a playwright so some years can be rather lean if we’re both in-between projects. But I think the hardest part for me is reconciling what I thought my life would be like as a published writer with what the reality of it is. I had a vision everything would change the day my book came out. Ha! I wish I’d known how to be braver and how to take risks. Personally I would just like to keep writing, and to keep working with the amazing people I’ve been lucky enough to work with so far. I would like to see the local YA scene really explode, and urge any interested readers of YA to follow @LoveOzYA on Twitter. I would also like to see festival panels mix it up a bit more with a combination of YA writers and writers of adult fiction talking on the same topic. There are too many to list. But I have recently reread books by these three amazing female authors and loved them as much as ever: Carson McCullers, Robin Klein and A.M. Homes. And thank you, Melissa Keil and Simmone Howell, for recommending Nova! NB: This is the first of 3 interviews celebrating YA 3 ways. Stay tuned for upcoming interviews with Steph Cuthbert and Gabrielle Tozer! Just love these interviews- learn all the time…! And understand the comment so well about being inspired about a book which you wish you had written…mine at the moment..David Nicholls….wish it was me….!!! I know that studio! Nova, if you’re reading this, let’s have coffee at Wide Open Road sometime.